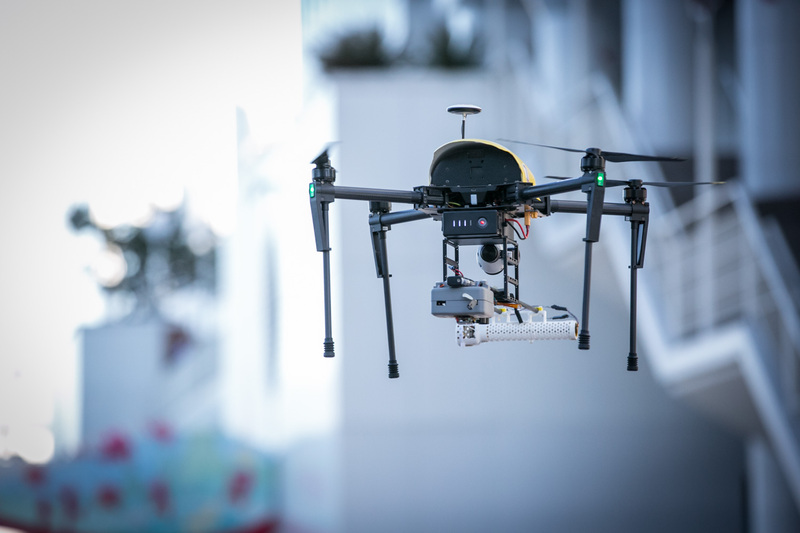 Developing and testing drone-mounted laser sensors to measure greenhouse gas emissions | Locating and measuring emissions at greenhouse gas emitting sites. GHGMap uses novel sensors, developed by NASA/JPL, on drones to improve the speed, accuracy, safety and cost of measuring greenhouse gas (GHG) emissions. The technology will be used to remotely map emissions of gases such as methane, ethane and carbon dioxide -- providing the independent measurement data needed for informed decisions. Developing and using new technologies to better understand GHG emissions helps Canada to maintain its reputation as a leader in clean resource development, in GHG emission reduction and in innovation. By bringing technology closer to commercialization, GHGMap will also create new economic opportunities for Western Canada. GHGMap meets a need to accurately and cost-effectively measure emissions of methane, ethane and carbon dioxide from sites that may be high sources of GHGs. These include natural and manmade sites such as, wetlands, landfills, sewage treatment plants, agricultural feedlots, gas wells, infrastructure and pipelines, dams and thawing permafrost. Accurate measurement is essential to reliably assess true GHG emissions, not just modelled values. As legislation evolves to work towards emissions reduction targets, governments need measurement-based GHG budgets to develop robust GHG inventories and quantify and verify reductions. The petroleum energy sector and others want GHGMap to identify and reduce emissions. Communities are demanding comprehensive, accurate and economical ways to obtain GHG emissions data, as they seek to make balanced resource development and the environmental decisions. Provide the first Canadian GHG inventory based on real-time, remote data collection, rather than the emissions models currently used for reporting. Deploy laser spectrometer (OPLS) technology from NASA’s Jet Propulsion Laboratory (JPL) to measure GHG emissions. Rapidly obtain and report measurements of trace quantities of greenhouse gas emissions on a regional scale or within just a few metres of GHG emitting site. Identify and test greenhouse gas emissions at a variety of petroleum energy sites in Western Canada to improve identification and remediation. Train highly qualified personnel to use equipment to survey GHG emissions. Demonstrate real-time GHG emission monitoring and attract future commercial investment in and use of the technology by demonstrating a sustainable business model. The technology will be tested at selected gas sites in northeast British Columbia before being rolled out to other parts of Western Canada. GHGMap uses a laser spectrometer (OPLS) originally designed by NASA’s Jet Propulsion Laboratory that measures critical GHGs, including methane, ethane and carbon dioxide at parts-per-billion levels. This tiny, 400 g OPLS instrument is mounted and flown on a small Unmanned Aerial Vehicle (sUAV or drone) to map GHG concentrations and distributions. Initial work in British Columbia, rolling out to Saskatchewan and Alberta.